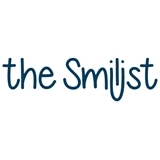 The Smilist Dental (Brooklyn) - Book Appointment Online! The Smilist Dental is comprised of a team of highly trained dental professionals. We aim to provide our patients with the highest level of service and care utilizing state of the art facilities and technology. Our patient first philosophy has allowed us to treat generations of families. Whether you have a toothache or looking for a new smile, come see why The Smilist Dental is your choice when it comes to your dental care. Clean, friendly and efficient. I hate dentist's but I loved this one. The hygienist was fantastic too. Great very professional and caring staff. Tenzin took her time to explain my charts properly. This practice sees patients at 4 locations.